To partner with parents to train up their children in the discipline and instruction of the Lord in a caring and creative learning environment and empower them with a biblical worldview to reach their God-given potential by emphasizing all areas including emotional, spiritual, intellectual, and physical. To become the premiere college preparatory school in East St. Tammany Parish through the combined efforts of dedicated administration, faculty, parents, and students; ultimately developing future generations of effective godly leaders serving Christ successfully and being salt and light in every area of our global society including family, church, business, government, culture and community. We believe the public school system is no longer a viable option for Christian children. Education should be centered on faith in God and trust in His word. The tidal wave of secular philosophies and the loss of parental control in schools have deteriorated to a tragic level with no chance for correction. As Christian parents, we need to embrace our biblical responsibility to protect the minds and spirits of our children and to raise them to think critically with a biblical worldview. Our children are the most precious things we have on this earth. Their educational experience is paramount in their emotional and spiritual development. Because of that, the choice of school for your child is one of the most significant decisions you will ever make in your lifetime. Your child’s future will either be elevated or limited by where they spend the formative years of their pre-college education. The lion is the king of the jungle and lives in a family called a pride. The lion is a symbol of courage, strength, gracefulness and perseverance. 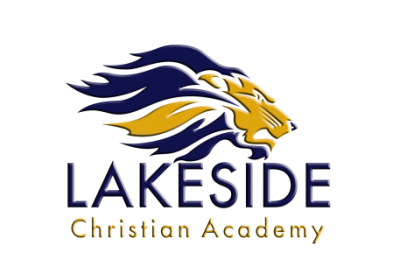 exciting, new, affordable Christian school. Please contact us if you're interested in being a part of our team.